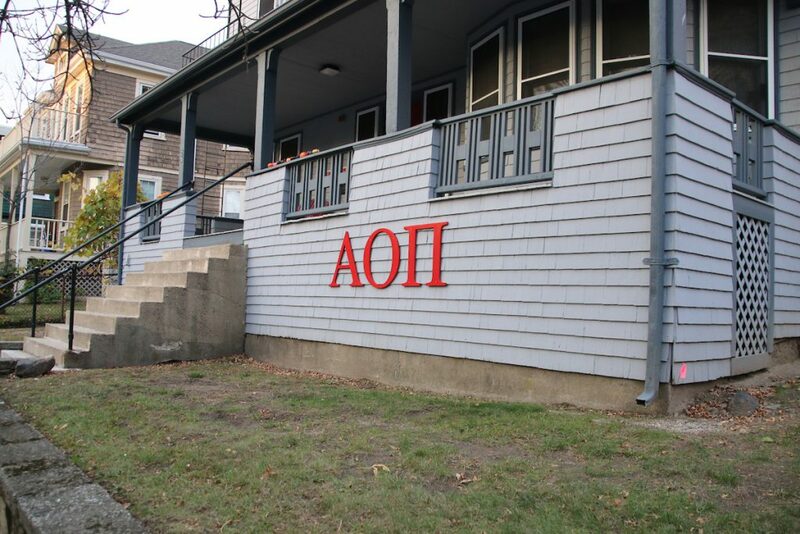 As of Dec. 11, the national Executive Board of Alpha Omicron Pi Fraternity (AOII) has withdrawn the charter of the Delta chapter of AOII at Tufts University, according to a press release sent to the Daily last night by Courtney West, assistant director of public relations for AOII International Headquarters. The press release cited the chapter’s inability to “build their membership to sustain a viable AOII membership experience” as the reason for their charter withdrawal. According to Allison Endo, the president of the former Delta chapter of AOII, the charter withdrawal was a result of AOII’s falling membership numbers over the past year. The Delta chapter was notified that their charter would be revoked less than 24 hours before the press release, Endo said. “It’s no secret that AOII is by far the smallest … Panhellenic sorority on this campus. Nationals was very reasonably concerned over this… Our low number is what prompted the withdrawal of the charter,” Endo, a junior, said. AOII’s membership dropped by nearly half following a disagreement in October 2016 between the international AOII organization and the Delta chapter, former AOII president Kristin Reeves, a senior, told the Daily last year. The disagreement related to the Delta chapter offering a bid to a transgender student, though Endo asserted that this incident was not related to the national organization’s decision to withdraw the Delta chapter’s charter. Without a charter, the Delta chapter cannot function as a sorority. The Delta chapter will no longer host events on campus, though current members are invited to affiliate with the Boston AOII Alumnae Chapter and attend their events, Endo said. The Delta chapter’s house will continue to house its current residents for the remainder of the year, though the long-term future of the house is unclear, Endo said. Endo said that AOII at Tufts does not intend to start a local chapter following their national charter withdrawal. “There are no plans of disaffiliation or becoming a local sorority,” Endo said. According to the press release, AOII hopes to return to Tufts in the future. Endo said that as a chapter, the sisters have been disappointed to hear this news, but they accept it and hope to move forward. “Even though our chapter is ending, the friendships from this organization are not ending, and that’s the most important thing to us,” she said. The university could not be reached for contact by press time.